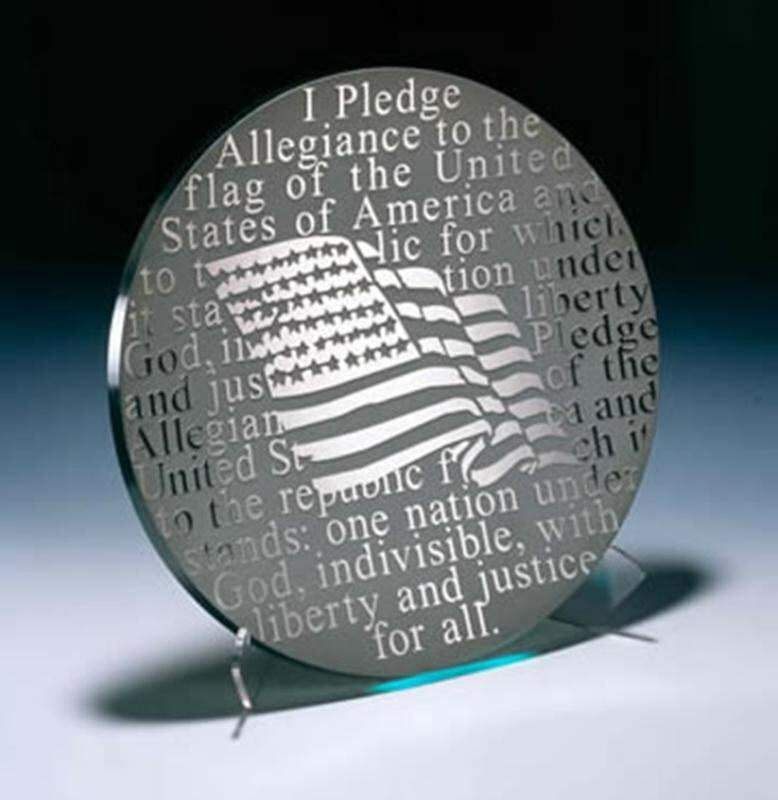 Silver 18 inch Pledge of Allegiance Platter. "I pledge allegiance to the flag of the United States of America and to the Republic for which it stands, one Nation under God, Indivisible with Liberty and Justice for all." Art in Glass Created and designed by Schlanser. Made in the USA.